The United States is undergoing a demographic shift that is changing the face of this country. According to the 2010 census the U.S. Hispanic population surged 43%, rising to 50.5 million in 2010 from 35.3 million in 2000. Latinos now constitute 16% of the nation’s total population of 308.7 million. 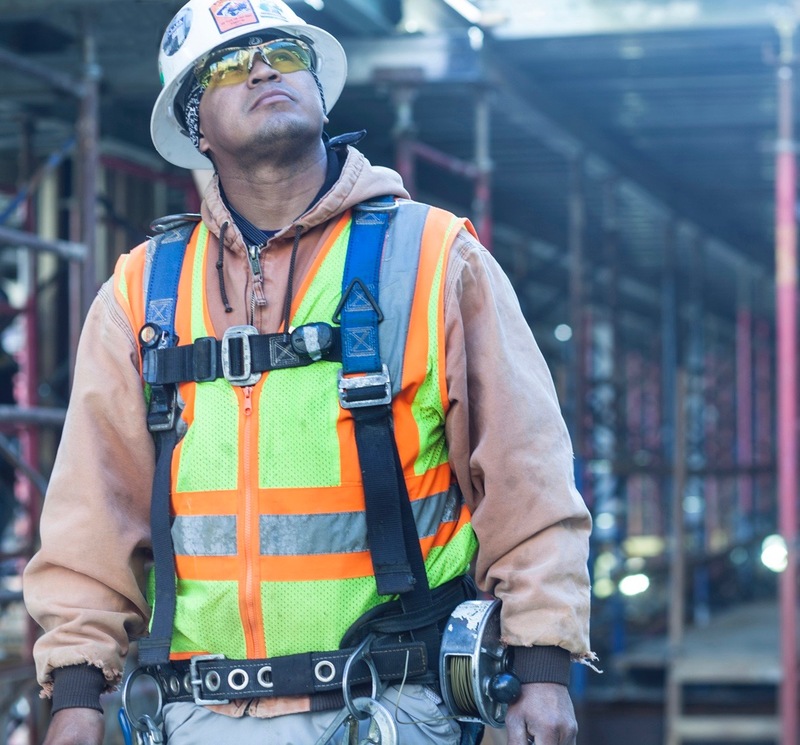 The Census Bureau has also estimated that the non-Hispanic white population would drop to 50.8% of the total population by 2040 – then drop to 46.3% by 2050. This demographic transformation holds the potential to shift economic and political dynamics across the country. Today one out of six people in the United States are Hispanic. However, it is important to note that one in four people under the age of 18 are Hispanic. The total number of people under age 18 rose by nearly two million over the decade. But the number of white children fell, while the number of Hispanic children rose sharply. During the decade, Texas alone added 979,000 individuals under age 18, of which 931,000 were Hispanic. Texas’ population grew to more than 25 million, awarding the nation’s second most populous state four more seats in the U.S. House of Representatives . Hispanics accounted for 65% of the state’s growth since 2000, while non-Hispanic whites experienced the smallest increase of any group, just 4.2%. The black population grew by 22%. The Latino population overall grew faster than expected and accounted for more than half of the nation’s growth over the past decade, with the group’s increase driven by births and immigration. The Hispanic market certainly deserves greater attention than many businesses and corporations give it. 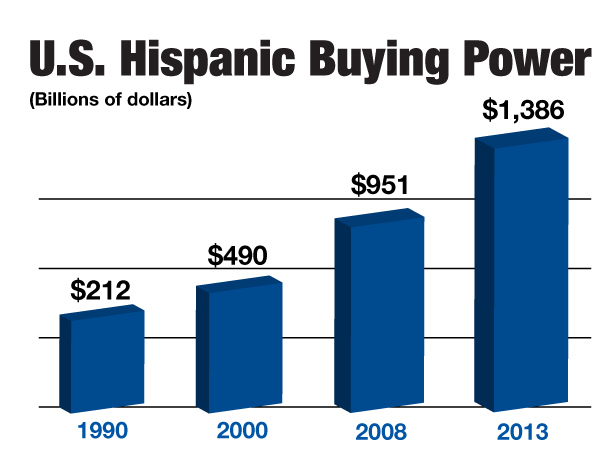 The total Hispanic buying power in this country is growing rapidly. It grew from $212 billion in 1990 to $951 billion in 2008, to a projected $1.4 trillion by 2014. A 600% increase in just twenty-four years. The demographic shift that is changing the face of this country is far from complete. The U.S. Hispanic population is expected to double to 100 million by 2050. 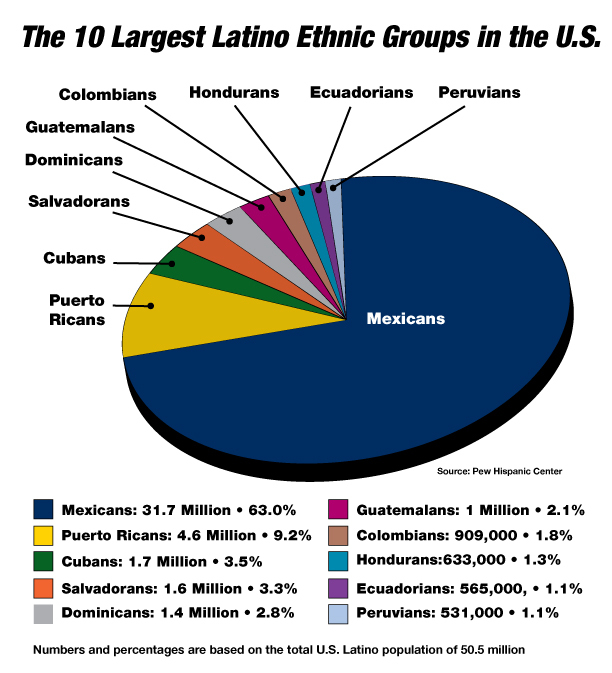 By then it is estimated that one in four people in this country will be Hispanic. 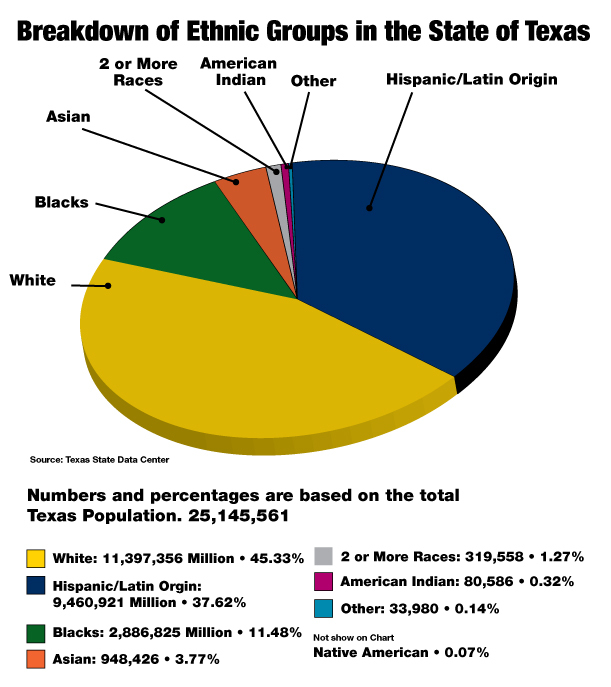 2010 Census data puts Texas’ population at 25.1 million people, of which 9.4 million are Hispanics, or 37.6% of the total state population. It is the state with the 2nd largest Hispanic population (behind California) but is equal to California in terms of share of population. 17 counties doubled their population since 2000, most growth in metropolitan areas, specifically Dallas, Houston and Austin. The country of origin of most Hispanics in Texas is Mexico, with 7.95 million. The second most sizable population is Salvadorian (.22 million). With the data above, the implications of the demographic trends cannot be ignored. The marketing opportunities available to companies in Texas that want to begin exposing Hispanics to their brand here, could have big payoff, with a young population growing into their peak earning and spending years in the near future. The 10 states with the largest Hispanic populations are California, Texas, Florida, New York, Illinois, Arizona, New Jersey, Colorado, New Mexico and Georgia. The 10 states in which the Hispanic share of the population is highest are New Mexico, Texas, California, Arizona, Nevada, Florida, Colorado, New Jersey, New York and Illinois. Nearly half (47%) of all Hispanics live in California (14.1 million) or Texas (9.5 million), down from 50% in 2000. California has 5.4 million Hispanic immigrants, more than any other state. California is followed by Texas, with 2.9 million Hispanics immigrants, and Florida with 2.1 million Hispanic immigrants. Slightly more than half of Hispanics in Maryland (54%), the District of Columbia (52%) and Alabama (51%) are foreign born, the highest foreign born shares among Hispanics in the U.S.
Los Angeles County, California, has the nation’s largest Hispanic population—-nearly 4.7 million. More than 95% of the populations in the Texas counties of Webb, Starr and Maverick are Hispanic—-the highest Hispanic population shares in the nation. The Hispanic population is more dispersed today than in 2000. Then, the 50 counties with the largest Hispanic populations had two-thirds (64%) of the nation’s Hispanic population. In 2010, those same counties contained 59% of all Hispanics. Only four counties had a decrease of more than 1,000 people in their Hispanic population between 2000 and 2010—-New York County, NY; Arlington County, VA; Rio Arriba County, NM; and Duval County, TX. When Hispanics view videos while shopping, 66% consider product reviews and ratings. Other data released by ComScore shows that Hispanics are more likely to remember advertised products while shopping (35% vs 22% of non-Hispanics) and that advertising actually helped them choose products to buy (30% vs 15%). Other influences include customer reviews, expert ratings and reviews on blogs.